This think pink handmade knit scarf was lovingly made with a soft acrylic yarn. 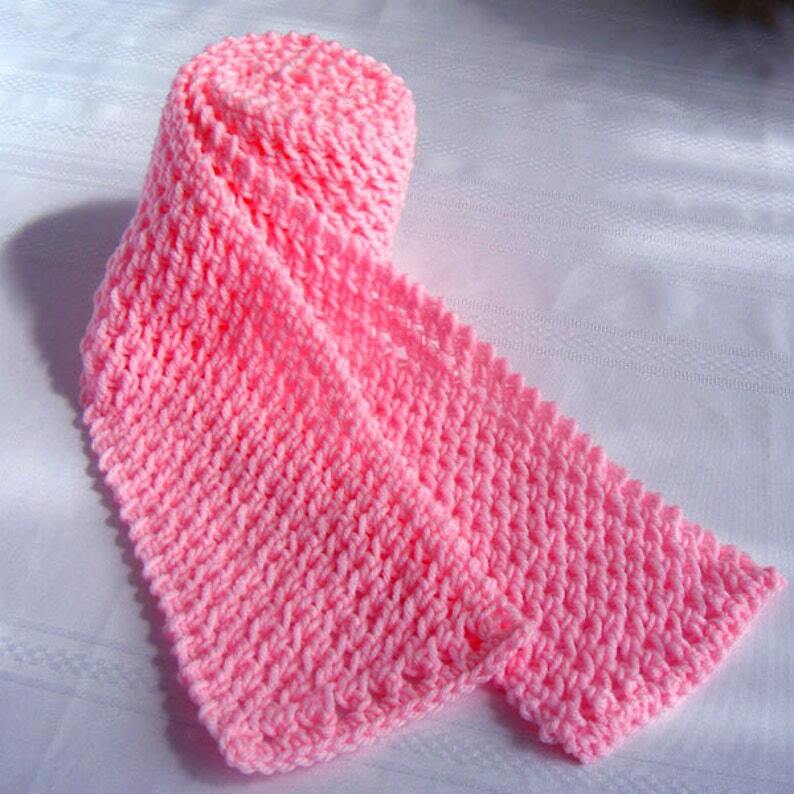 It is made to be used as a designer scarf or as a winter warmer. Not only is this a textured scarf, it's also reversible! It would make a perfect gift for others or for yourself!